Welcome to the bag world! This is not a shop; this is an exhibition on sale ! Here you will find bags of various kinds and sizes for every mood and occasion of your life. Every bag is handmade, unique, the one and only in the world and thus a personality. Bags are our hobby, facination and religion. Some may not understand it but it is impossible to have too many bags. 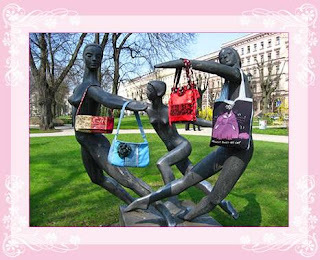 Like anyone, once met with Her Highness Bag Mania, we also know that need has nothing to do with it!